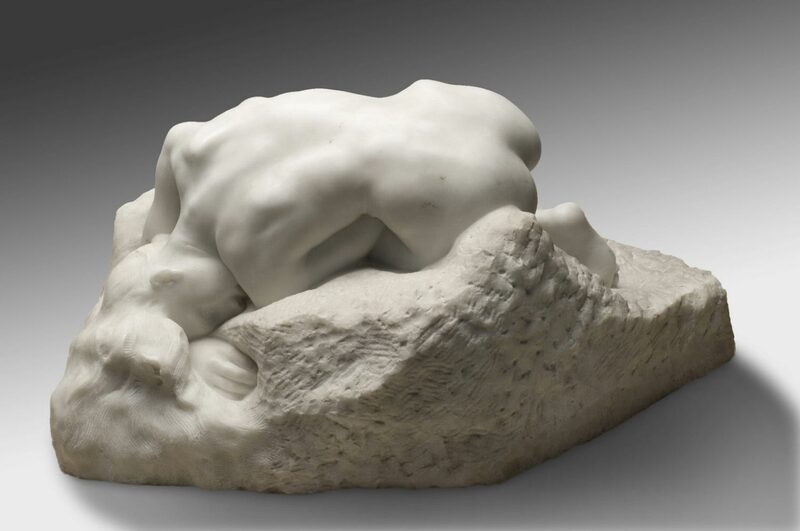 Rodin originally modeled this despairing figure from Greek mythology, condemned to eternally carry water from a leaking jug, for The Gates of Hell, but he did not include it in the final version. 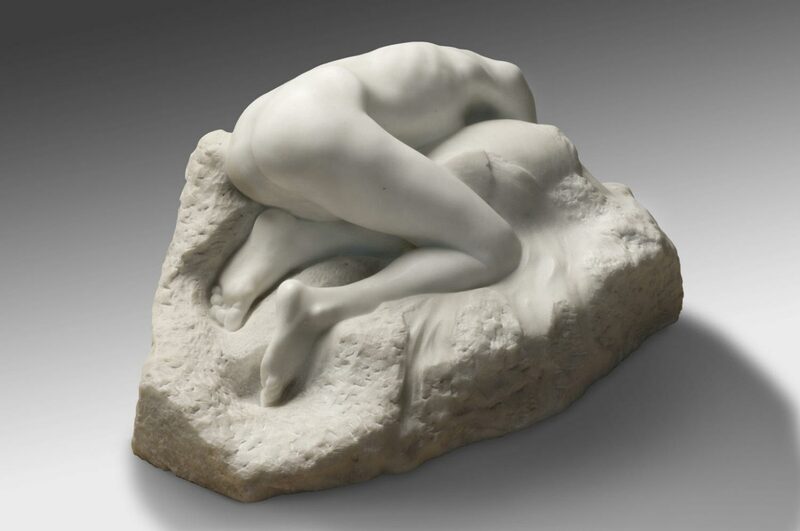 As seen in the work of Michelangelo, an artist Rodin admired enormously, Danaid seems to emerge from the block of stone itself. 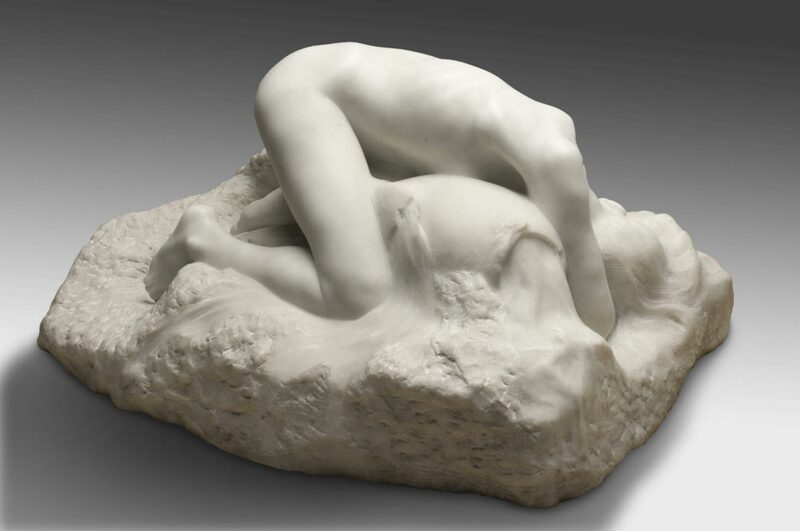 Danaid was originally modeled for The Gates but was not included in the final version. She relates in form and spirit to a number of female figures who are portrayed in bent or contracted positions, all unhappily relegated to the underworld for their sins on earth.